Whether your bathroom is small and cramped, or it just feels like it, there are ways that you can make it feel larger. Here are five tips to get you started. 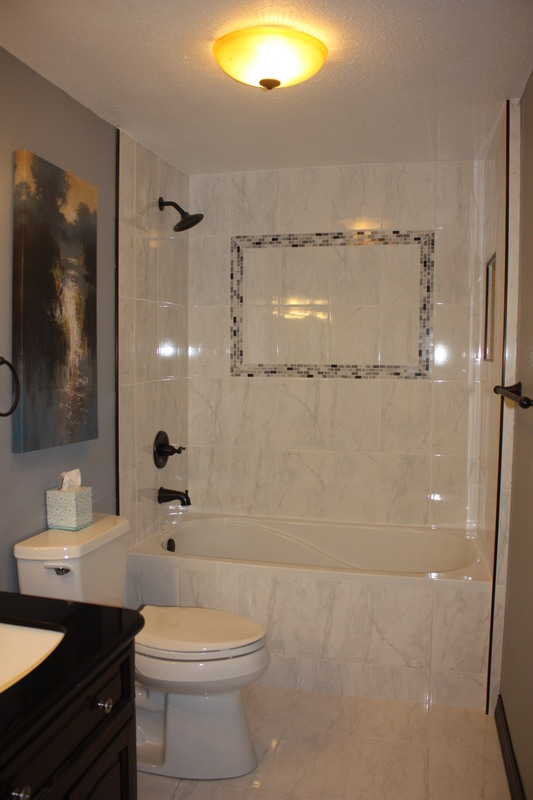 The color of its walls and flooring can have a big impact on how you perceive your bathroom. Colors will not only affect the ‘mood’ that your bathroom conveys, but they will also affect how you see your bathroom size-wise. Ditch the contrasting colors and crazy wallpaper and replace them with a simple, light-colored theme and a soft wall pattern, if any. If your bathroom is too ‘busy’ or has starkly contrasting colors, this tends to make it look smaller. Lighting isn’t just good for the eyes; illumination can also help to make your bathroom seem larger than it really is. If you can, incorporate natural lighting, such as a skylight or through large windows. If those options are not available to you because of budget, space, or privacy reasons, adding more light to your bathroom, specifically in low-light areas, can help open things up, especially when used with lighter colors in your bathroom. The mirror in Snow White has magic, now let your mirrors work theirs. A larger mirror can really brighten up the space. If possible, place a mirror opposite an outside window, or place mirrors opposite each other to improve your bathroom’s perceptual space. If you’re an abstract thinker type with a knack for the scientific side of life, you can even use your mirrors creatively to bounce light off from each other to further brighten the space. Just like vertical lines on your clothing will make you look taller and slimmer, opting for tall, skinny cabinets vs. clunky, wide-based cabinets will give your bathroom the perception of being taller than it really is. While decorating your bathroom to make it feel more ‘homey’ may appeal to you, too many decorations, ornaments, floor mats, wall-hung candles, and pictures will actually clutter your room, making it feel more restricted. Allow people to see the room by removing some of the knick-knacks. Regardless of budget, these small and simple remodeling project ideas can make a big impact on how your space is viewed. Use these tips to help stage your house when selling too. So winter has fallen upon us now and all your outdoor projects will have to be placed on hold for another 6 months, now is the time to tackle indoor repairs and/or upgrades to your home. You may find yourself thinking that you can save on some of the costs by doing those projects yourself. First of all, asses the scope of the project and inform yourself, how knowledgeable and skilled are you for that project? Do you have the proper tools? Most of all, do you have the time to complete the project, leaving projects unfinished may lead you to frustration and more out of pocket costs down the road. Here are some most common projects most homeowners are faced with, whether to DIY or call us. 1. Walls–DIY: If you are looking to brighten up existing walls with a new coat of paint, make sure you have the basics, ladder, brushes, rolls, painters tape, drop cloths, etc. Don’t forget to spackle any holes and/or chips prior to painting. GOOD PREP is key to a successful DIY paint job. When to call GEM— If your drywall is extensively damaged, or needs to be replaced., if your framing and molding is damaged, or if you just don’t have the time to prep, paint and clean up, we can help. 2. Floors–DIY: The average homeowner can glue down vinyl flooring and for wood flooring, a brown crayon can easily fill scratches, both are a quick easy fix. Flooring can be tricky and messy dependent on the type being repaired, replaced or installed. Call GEM for installing hardwood flooring and ceramic flooring repairs, those require special cutting tools and masonry supplies. 3. Masonry–DIY: Not many homeowners are skilled at this, unless you do it for a living, it is easy busting out brick and stone- but mixing mortar and aligning material is not for the “weekend warrior, do it yourself-ers”, as it requires time, skill, and muscle, to properly administer masonry material. Calling GEM will be the easiest and safest way to accomplish your vision to remodel your stone pathway or garden partitions. 4. Electrical Upgrades—DIY: Another subject suited for GEM, for safety reasons, homeowners should not attempt rewiring, adding outlets, or installing large heavy fixtures-unless, it is their profession. We strongly suggest, just giving GEM a call. 5. Plumbing–DIY: Always turn water supply off prior to any plumbing project. Most homeowners can unclog a toilet, replace a flapper or a leaky faucet. We can deal with the simple plumbing projects you do not want to deal with, on top of replacing toilets, faucets and shower heads. Call GEM. 6. 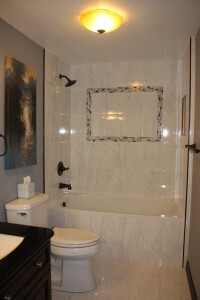 Tile–DIY: Not much DIY here, most can clean or replace old grout and maybe replacing a cracked tile or two. Even adding a backsplash is simple. But if you want to replace or upgrade your tiled area, that requires cutting tile, accurate alignment and spacing of tiles, and usually requires a significant time commitment for novices. If you want to achieve that professional look, give GEM a call. 7. Countertops–DIY: Dependent on the type of countertop, DIY here is limited to caulking, cleaning, gluing, and sealing existing tops. Minimum 2 man crew is needed for this type of DIY. GEM has the manpower and skill to properly install, replace and repair all types of countertops, if you decide not to tackle it yourself. Do not risk damage and improper measurements that can lead to higher cost and extended remodel time.